I woke up today much earlier than I usually do on work-free days. I find it difficult to sleep when I am excited. I am excited this morning; much more than I was when I found out Muhammadu Buhari had won the Presidential elections on March 31. I am not under any illusions. I do not expect any magic from Buhari and the APC-led government over the next four years. In fact, I know there will be missteps here and there and there will be many things they will do that we will think they ought to do differently. These are challenging times for our country, and a lot of work needs be done to set Nigeria on the right path again. A billboard I saw during the campaign season rightly sums up my thinking about the next four years. I do not have a picture, but I remember the quote: “Vote for good governance, not good luck”. I have many hopes and my fair share of expectations from Buhari and Osinbajo – but I am confident of one thing: “Nigeria gets off auto-pilot this morning”. "I have supported Buhari since 2011 because I believe he will combat corruption, re-unite Nigeria, appoint competent aides and Ministers versus rent-seekers, create an enabling environment for our economy and institutions to flourish, and restore our pride before Africa and the world. I now add ‘defeat Boko Haram’ to that list." - me in an earlier post. 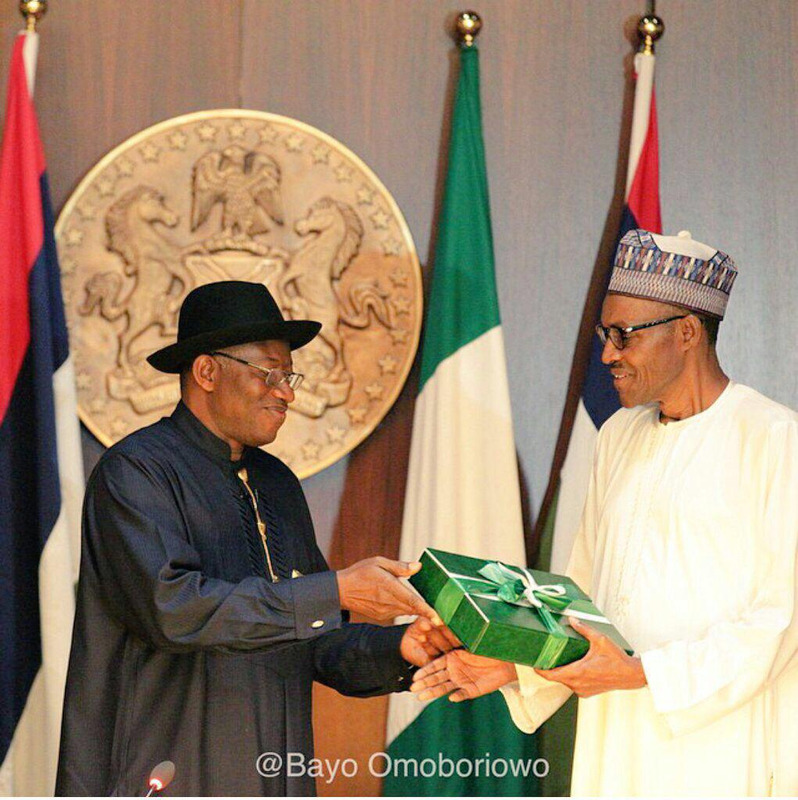 President Goodluck Jonathan has my thanks, and the gratitude of many other Nigerians. He could have made things a lot more difficult for Nigeria by contesting the election results, but he chose the honorable path and conceded defeat. History will be kinder to him than many of us think. I do not believe anyone deserves an award for doing the minimum expected of them – and the call by some for a Noble Peace prize is indicative of how low we have historically set the bar for our leaders. A last word for my friends and a few social commentators earnestly expecting Buhari to fail, so they can grandstand and say they were right all along. It’s our fatherland – not Buhari’s private enterprise. Should he fail, we ALL suffer for it – regardless of tribe, religion, or party inclination. We have proven at the last elections that the office of the citizen is one that must be respected – and we must work together to build the Nigeria of our dreams. I look forward to four years of growth and prosperity, of security, of institutions that actually work, of increased respect on the continent and the globe, and of increased citizen participation in government. Grab your glasses, and let’s drink a toast – to Nigeria, our own dear native land. When Chxta Bee identified "decongesting Lagos" as one of the priorities for the incoming Federal and State Governments, I glanced at it casually and moved on. However, I have returned to an earlier post I shared on this subject after experiencing ONE day of Island-Mainland traffic this evening. In addition to the solutions I proffered in my post of July 2014, I would now like to add that the most sustainable way to "decongest" Lagos is for the other States to attract more businesses and support them to operate profitably and sustainably. In addition to slowing the population drain to Lagos in search of greener pastures, this will develop their economies, grow State government revenue, and grow employment numbers in the formal and informal sectors. The current model wherein many young Nigerians from across the country (including yours truly) relocate to Lagos because it offers better opportunities is not sustainable over the long run. 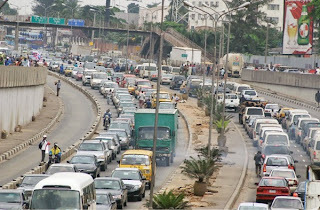 At this rate, in only a few years - it will be nearly impossible to get anywhere on time in Lagos. PS: It took me 4 hours to get home from Lekki Phase 1 (and 2 hours to get there in the morning). Some friends who work on the Island (and live on the Mainland) confirm they spend an average of 4 hours a day commuting to and from work. That is 20 hours a work-week, 80 hours a month, and 960 hours (40 days) a year spent in Lagos traffic!